This is a traditional dish of udupi and its called "kat saru" in tulu. This is a yummy appetizing dish.If you have the cooked lentil handy, then you can finish off the preparation in few minutes. 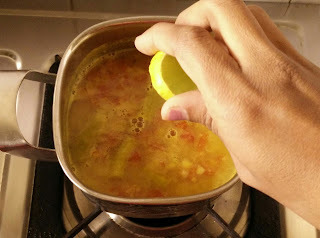 Cooked lentil and spices will be boiled for sometime along with adequate water just to ensure all the flavors of the spices are well combined. 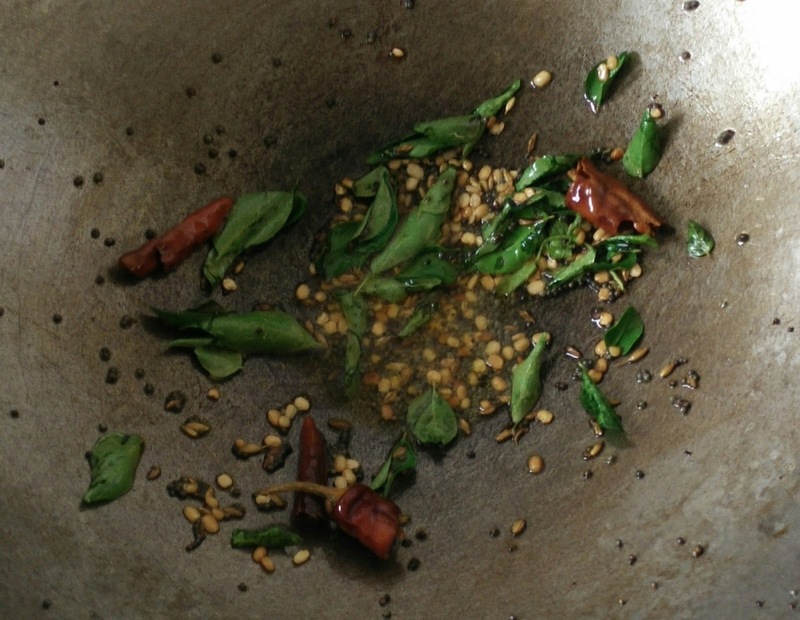 Finally topping up the dish with hot south Indian seasoning and lemon really makes a wonder here. 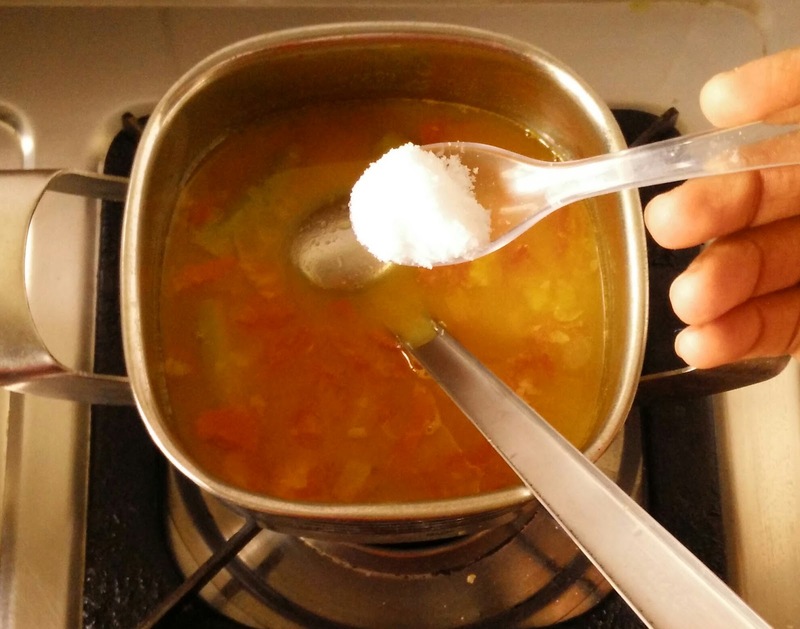 Its very easy,healthy and perfect during winters. 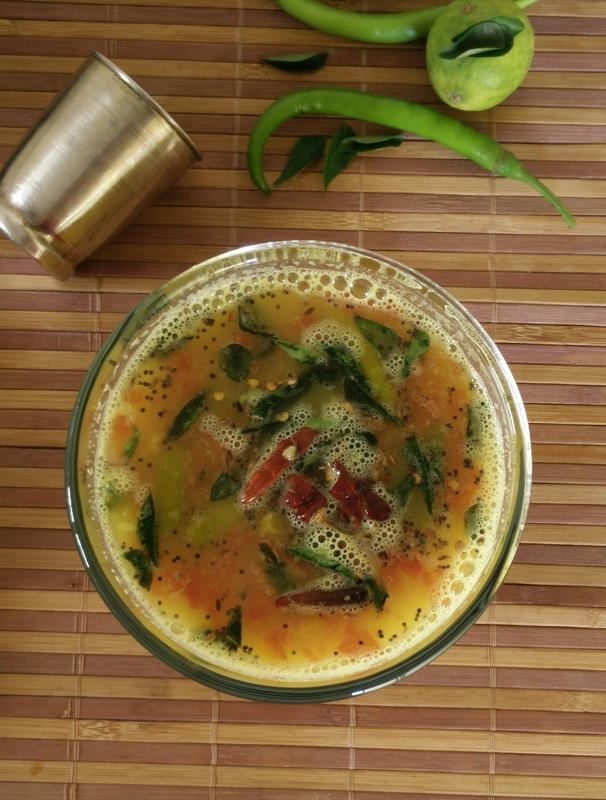 I prefer this rasam when I want to avoid tamarind in my diet. Serve this delicious healthy rasam along with hot steamed rice, spoonful of ghee and potato chips or homemade pan fried potatoes. 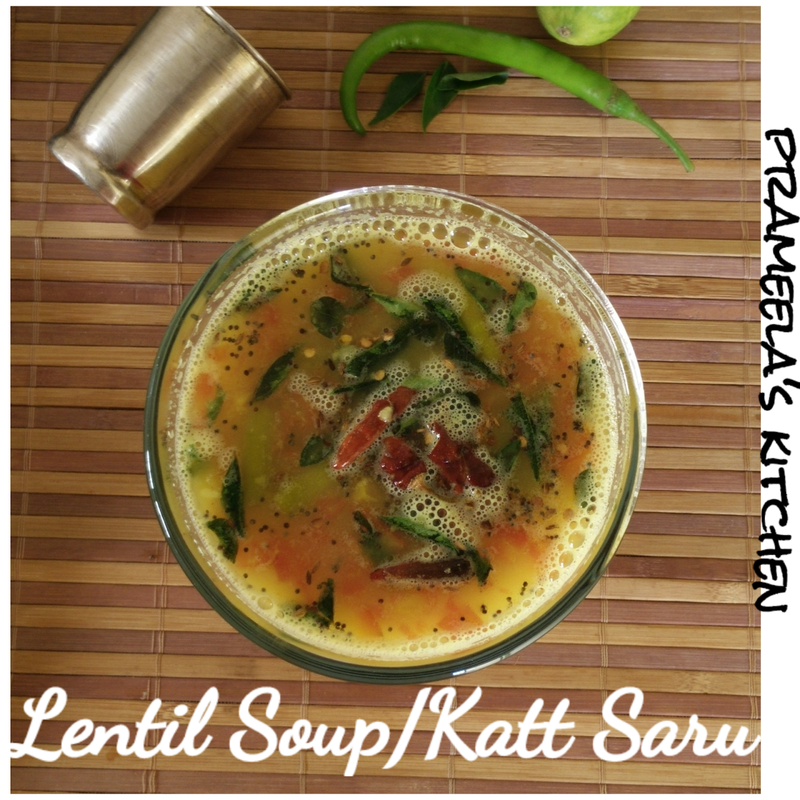 You can serve this dish as lentil soup too. Wash both the lentils. Pressure cook both the lentils together and keep aside. Add 2 cup of water, chopped tomatoes, turmeric powder,jagri,chopped green chilly and grated ginger into a thick bottomed cooking vessel and bring it to boil. Continue boiling for 4-5 mins. Now add cooked dal and salt. 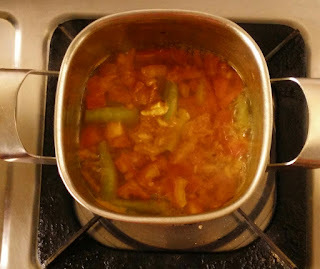 Bring it to boil and simmer for 5-6 mins. [Adjust the consistency by adding water in this step]. Finally add in chopped coriander leaves and Bring it to boil again.Switch off the flame. Squeeze the lemon and add the juice to the dish. Mix well. 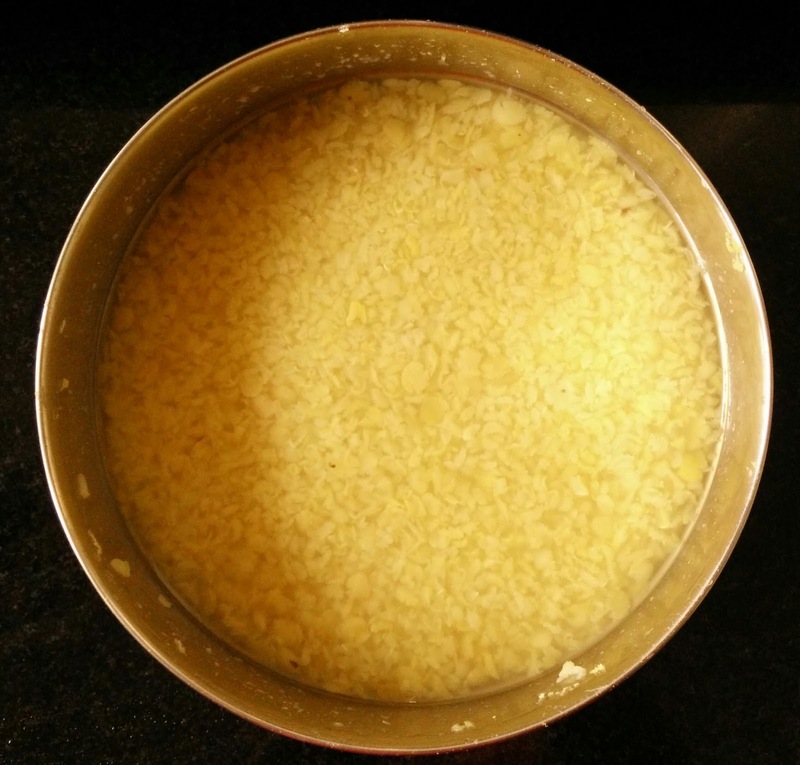 Heat ghee in a seasoning pan. 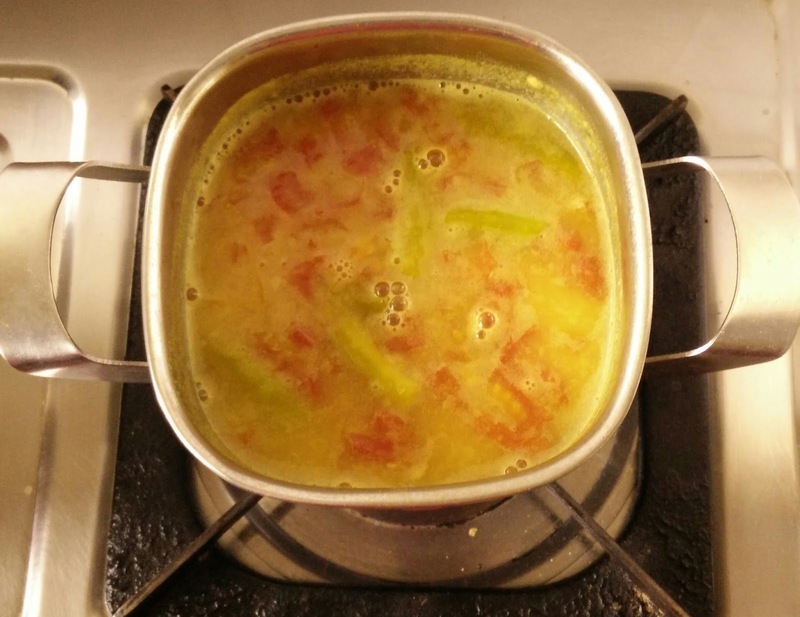 Add mustard seeds and urad dal. After mustard seeds pop out add in dry red chilly and curry leaves. Saute for few secs and switch off the flame. Add this seasoning to the rasam and stir well. 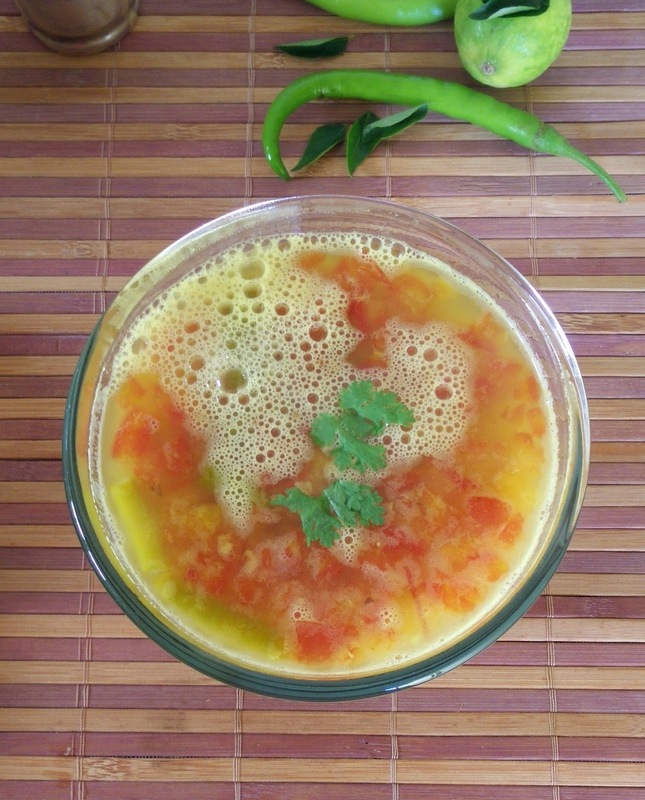 Keep the lid closed for 2-3 minutes so that all the aroma of the seasoning gets well mixed in the rasam. Add lemon after you switch off. 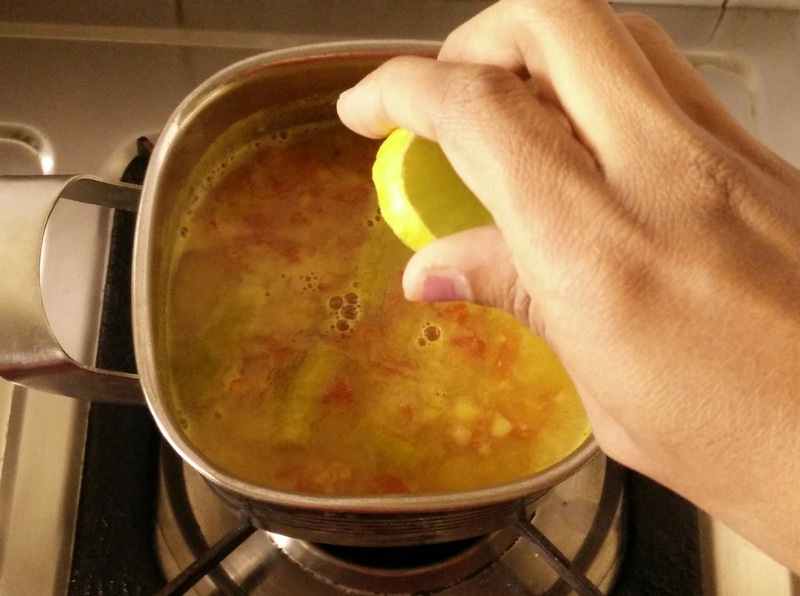 Do not boil the rasam/soup after adding lemon. 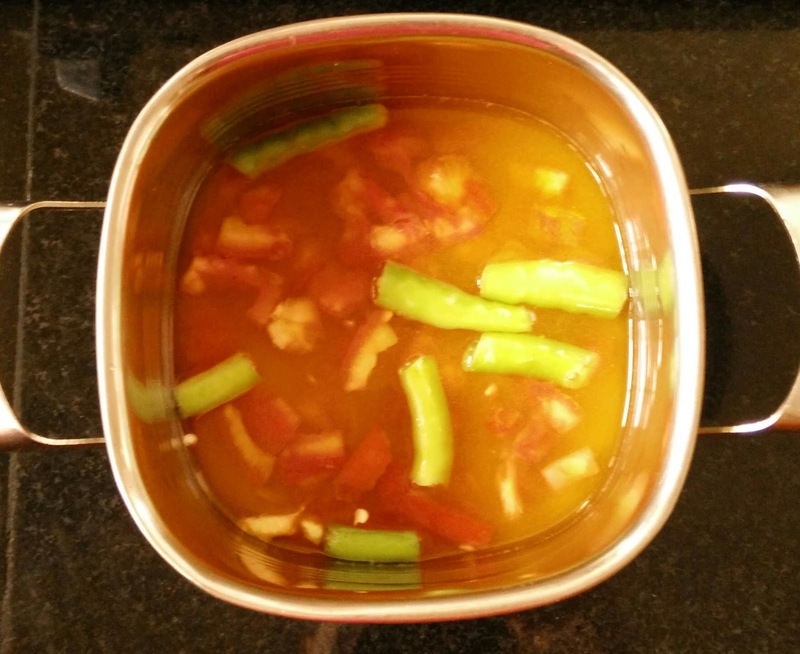 My mother makes rasam without tomato and it tastes yummy. As I mentioned above you can skip tomato.